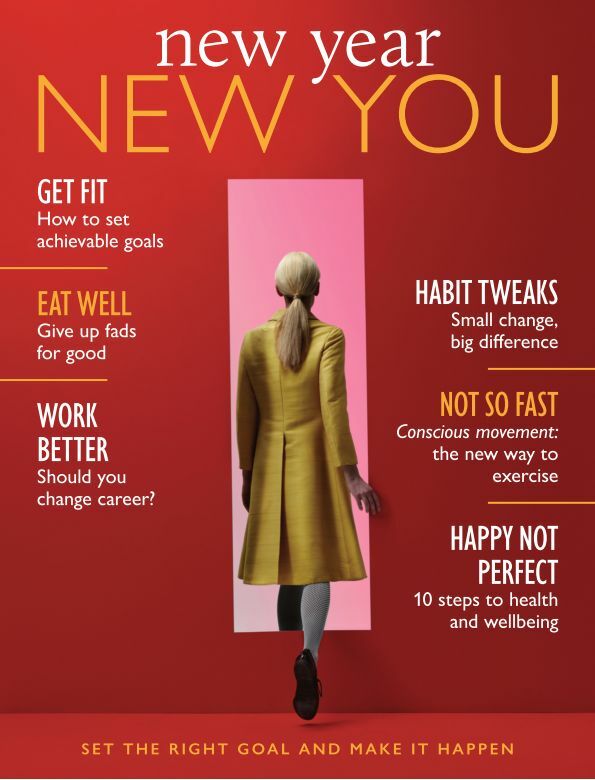 This one-off magazine is here to help you build a happier, healthier, more fulfilled self. As the end of the year approaches, forget broken resolutions of the past – use the opportunity to think about where you are now and what your future might look like. Inside these pages you’ll find easy ways to set the right goals and develop habits you can actually stick to, alongside exercises to rejuvenate the body, calm the mind and restore balance to busy lives. Get fit, eat well, slow down, achieve more – whatever your hopes and dreams for yourself, New Year, New You can help you to realise them, and make 2019 the best yet.